We have not visited Iraklio for a long while, so we decide to go today. Because it is hot and city parking is awful, we take the bus – comfortable, air conditioned and convenient. Reading about the city during our ride, we are reminded that Iraklio is not as old as most places on Crete – and its origin is rather notorious. The city was founded in 824 by Moors (also called Saracens) exiled from Al-Andalus (a region of Spain) after a failed revolt against their ruler, Al-Hakam I. 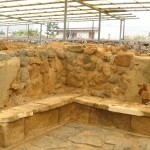 They seized Crete from the Byzantine Empire and built a refuge – a fortified town with a trench around it – which they named Rabdh El Khandak (“Castle of the Trench”). 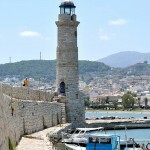 The harbor became a home port for pirates who raided Byzantine territories and attacked shipping around the Aegean. After enduring many years of piracy, the Empire finally decided to eliminate the pirate base. A fleet of ships carrying 50,000 soldiers sailed to Crete under the command of Nikephoros Phokas, the Empire’s best general. In 961, after a long siege, the town was burned to the ground and its inhabitants slaughtered. With the island once again under Byzantine rule, the town was rebuilt and renamed Chandax. However, after more than two centuries of decline, partly due to the constant Arab threat from the east, Byzantium sold Crete to the Republic of Venice. 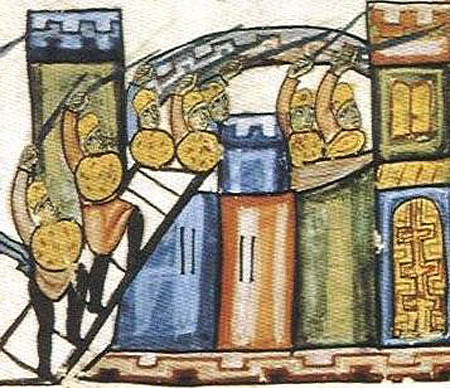 Because Venice thought the town (now renamed Candia) was important to their security, the new rulers turned their attention to strengthening its defenses. 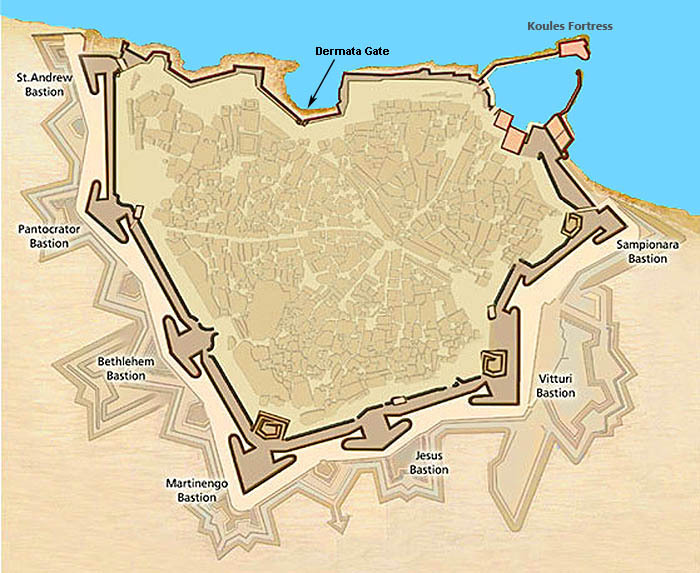 Over the next several centuries, they added enormous fortifications around the growing city, including a giant wall with seven bastions, and a fortress guarding the harbor. We arrive at the port bus station, beneath the fortress wall and the Sampionara bastion. It is not necessary to enter at one of the ancient gates – now there is a road into the city, and a staircase to the top of the wall. 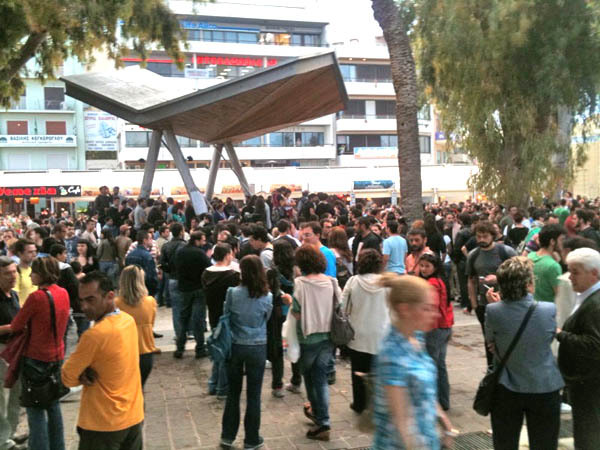 Taking the stairs, we are in Platia Eleftherias (Liberty Square) within 15 minutes. There are painted banners and a speaker’s podium from yesterday’s rally by the “Indignant Movement” (citizens protesting government handling of the Greek debt crisis). Except for a few tired activists napping beneath trees, everything seems normal. Continuing along Dhikeosinis, we quickly come to Platia Venezelou, with its shaded cafes, city hall (in the old Venetian loggia), and a dozen roads radiating out to every neighborhood. This is our favorite part of the city – the center of everything. We stop for a frappe at the News Café, in nearby El Greco Park, and plan our next move. We walk a few blocks south from Venezelou and turn west on Karterou. 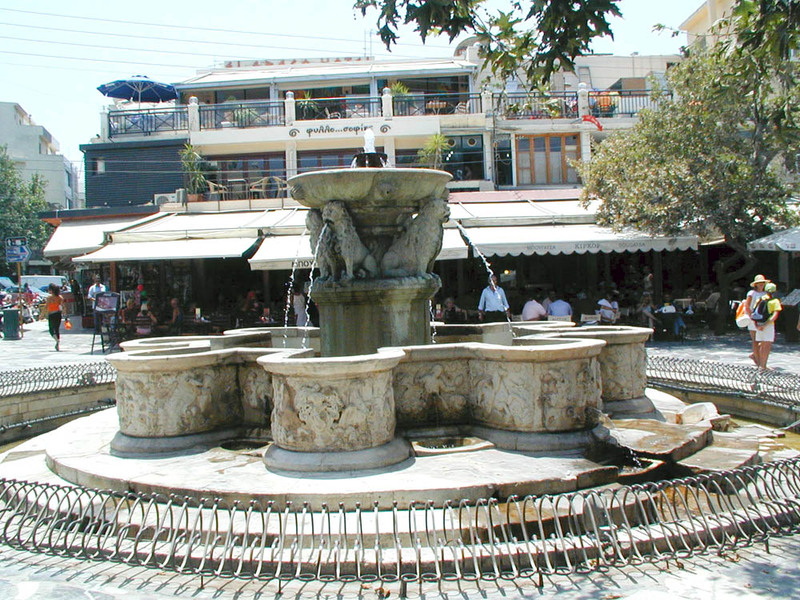 This leads us to Platia Ayia Aikaterinis (St. Catherine Square) where the metropolitan church, Ayios Minas, is situated. The church is large and impressive, but not very old – it was built during 1862-1895. It is in the shape of a cross with a dome and four equidistant pillars. The interior has beautiful frescoes and religious adornments, including several venerated icons plated in gold and silver (see the short tour for more photos). 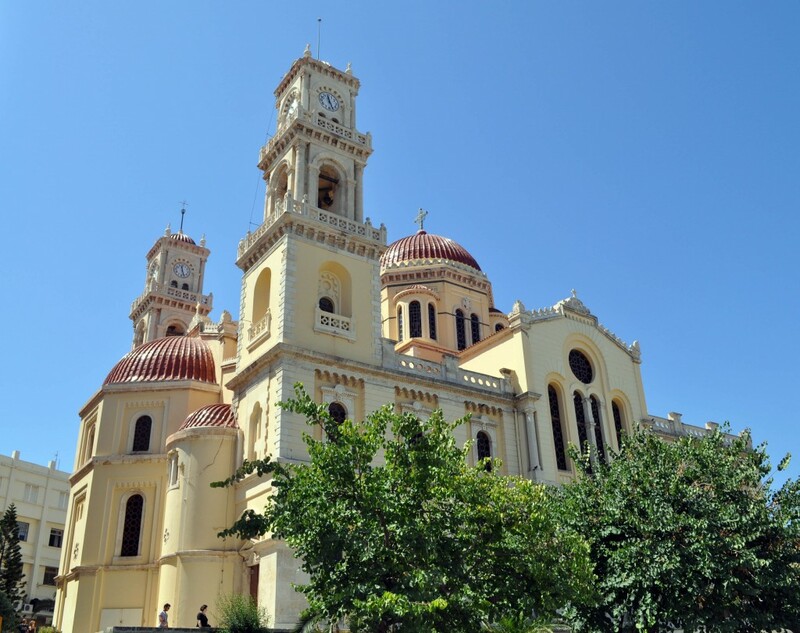 On the western corner of the metropolitan church is the small, older church of Ayios Minas, which has ornate wood carvings and icons from the 18th century. No one knows for sure when it was built, but this little structure was the metropolitan church (Ayios Minas being the patron saint of Iraklio) from 1735 until the big church replaced it. 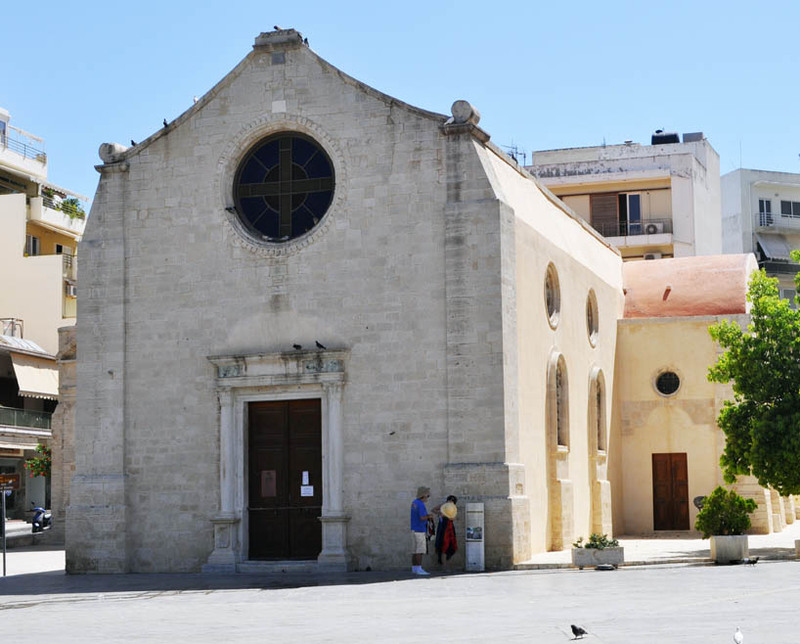 The most famous structure on the square is tucked away behind the old Ayios Minas church. This is the Ayia Aikaterinis (St. Catherine) church of the Sinaite monastery. It was established during the second Byzantine period. The church founded a school that operated from the 15th century onwards. After the fall of Byzantium in 1453, there was an influx of artists and scholars to Iraklio. These people taught grammar, logic, rhetoric, math, art and so on at St. Catherine. 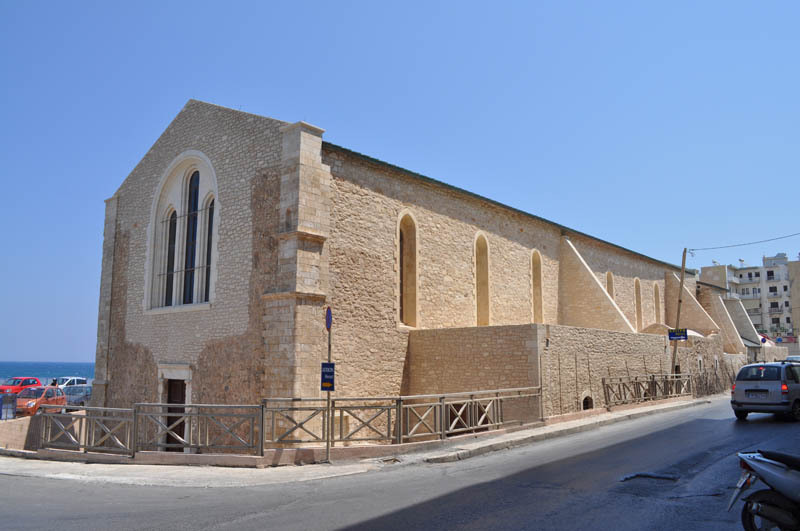 The school played a key role in the Cretan Renaissance, and many of its graduates distinguished themselves in literature, the arts and the church. Among the most famous graduates of the school were Doménicos Theotokópoulos (better known as El Greco), painter, sculptor, and architect of the Spanish Renaissance, and Michael Damaskenos, painter and main representative of the “Cretan School”. 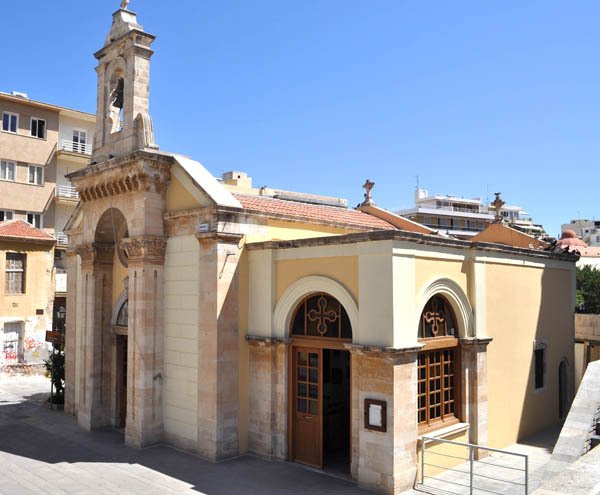 The church on St. Catherine Square now operates a museum, where some of the Damaskinos paintings are exhibited. Sadly, it is closed for renovations today. From the platia we walk north on Sfakion Street, towards the waterfront. We wind up at Dermatas, a small bay west of the main harbor. Here we find the Gate of Dermata, one of the few waterfront entries through the Venetian fortification wall. Turning eastward along the waterfront, we soon come to Ayios Petros (or, more accurately, Saints Peter and Paul) built in the first years of Venetian rule as a Dominican church and monastery. In the final stages of restoration, it is one of the oldest examples of 12th century Dominican architecture in all of Europe. By the 15th century four chapels had been added to the south side of the church, one of which still contains the only example of 15th century wall painting found in Iraklio. [For a Greek video of the church interior click here.] When the Ottoman Turks took over, the church was converted into a mosque and a minaret was added (but not included in the restoration). As we walk back towards the main port and the bus station, the great walls rise up on our right. 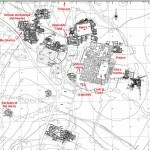 Now the city has been built out to the very edge of the fortifications. 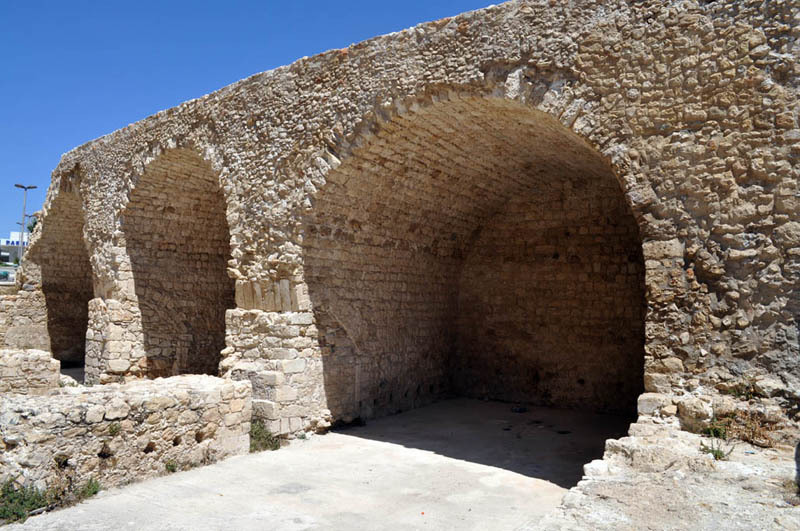 These walls proved their strength in a very dramatic way during the Cretan War (1645–1669). 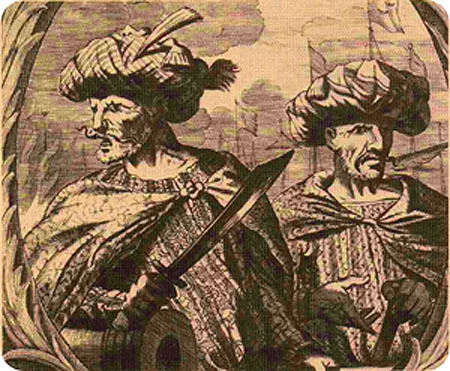 The Ottoman Empire besieged Candia for 21 years (1648 to 1669), perhaps the longest siege in history. 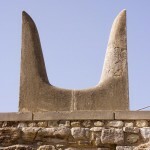 The walls might have held forever, except for the treason of one man – a Cretan-Venetian builder named Andreas Barotsis. He showed the enemy where the fortification was structurally weak – at its eastern and western corners. The wall was breached at the Bastion of St. Andrews (ironically, San Andreas). The later history of the fortifications is quite uneventful in comparison with this epic battle. 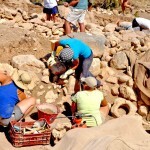 The Turkish overlords had the walls repaired (again with Cretan forced labor). 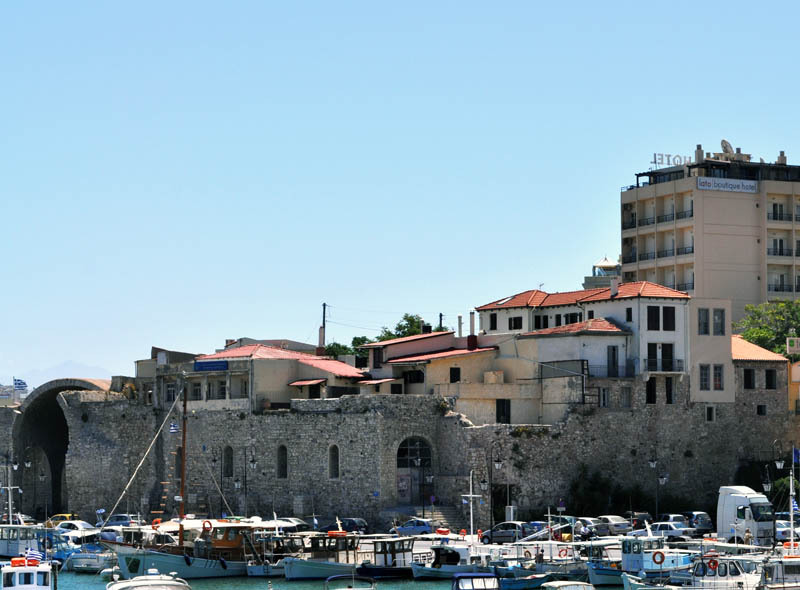 The city was once again was renamed, this time to Kandiye, but informally – in Greek – it was called Megalo Kastro (Great Castle). At the beginning of the 20th century, when Crete was finally free of Turkish rule, the Great Castle was renamed Iraklion (Hercules’ city). It is now the capital of Crete and fourth largest city in Greece – although most of the modern city is outside the walls of the castle. It has been a long hike around the city in the hot sun, and we are almost back at the place we started. Rather than climb Mirabelou Street into the castle, we decide to continue along the waterfront to the bus station. 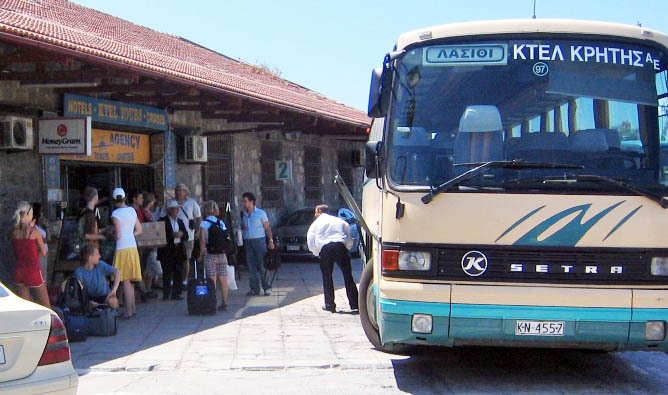 When the man at the counter hands us the tickets, he says our air-conditioned bus departs in deka lepta (ten minutes). Just in time.